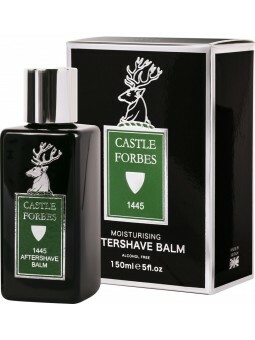 Castle Forbes 1445 After Shave Balm 150ml. 1445 celebrates the year the Castle Forbes clan chief was honoured as the first lord of Scotland. This soothing aftershave balm is alcohol free and uses natural Witch Hazel to gently close the skin pores. It moisturises and replenishes the skin without leaving any sticky residue on the skin. Lightly fragranced this aftershave balm leaves no residue on the skin and spreads easily with a small amount of product. Free from parabens and added colours, animal free. No added fragrance, only includes pure essential oils. Especially recommended for sensitive skins. In 1996 the former dairy building behind Castle Forbes was converted into the world’s smallest perfumery in which Lady Forbes developed her passion for scents and essential oils. Using only the finest natural oils in the classical manner of “Haute Parfumerie”,the Castle Forbes Collection has evolved into a range of top-quality fragrances. 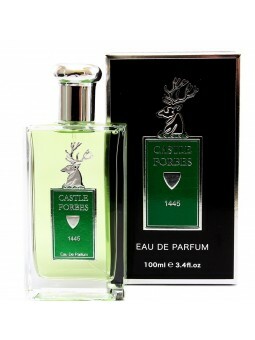 Castle Forbes 1445 Eau de Parfum 100ml. 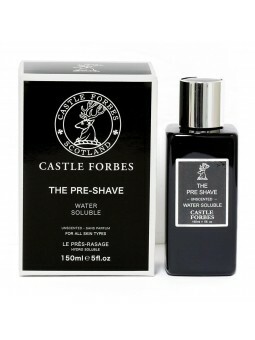 Castle Forbes 1445 Essential Oil Shaving Cream 200ml. This nourishing and pleasant shaving cream is ideal for those who love a perfect shave from beginning ot end. Protects your skin and helps the blade glide more easily, to avoid possible cuts. Made from a base of pure lavender, tarragon, lemon and acid orange, that give us a light citric and herbaceous aroma, with light notes of fern and grass. This luxurious shaving cream will give you a fantastic shaving experience, as it does not contain parabens, colorants or fragrances, which ensures the quality of the essential oils being maintained. You will get an incredible shave thanks to the quality of the lather obtains, soft and tonifying. With a small amount you will get the perfect quantity for a good shave. Recommended for all types of skins. Not tested on animals. 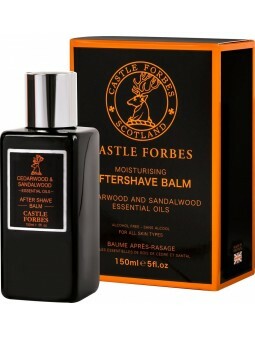 Castle Forbes Cedarwood & Sandalwood After Shave Balm 150ml. Extraordinary after shave balm with pure cedarwood and sandalwood essential oils. This soothing aftershave balm is alcohol free and gently closes the skin pores. It moisturizes, replenishes and calms the skin without leaving any sticky residue on the skin. 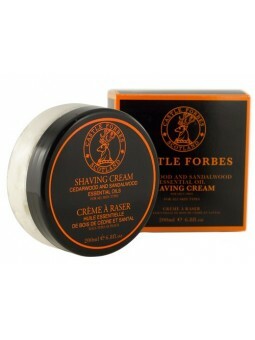 Castle Forbes Sandalwood & Cedarwood Essential Oil Shaving Cream 200ml. This nourishing and pleasant shaving cream is ideal for those who love a perfect shave from beginning ot end. Protects your skin and helps the blade glide more easily, to avoid possible cuts. Made from a base of pure cedar and sandalwood essential oils that give it a light sweet and exotic natural fragrance, whilst being very delicate. This luxurious shaving cream will give you a fantastic shaving experience, as it does not contain parabens, colorants or fragrances, which ensures the quality of the essential oils being maintained. 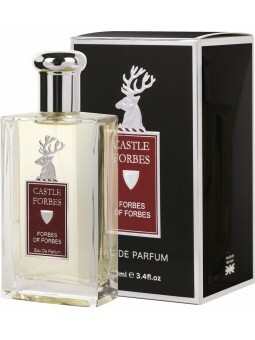 Castle Forbes Forbes of Forbes Eau de Parfum100ml. Exotic woods and accords of green herbal and pine notes supported on a soft amber base. Orange top notes and tangerine medium notes. Exotic aroma that evokes leather and oak. In 1996 the former dairy building behind Castle Forbes was converted into the world’s smallest perfumery in which Lady Forbes developed her passion for scents and essential oils. Based on the natural aromas that surround the castle, with an elegant image of the shield and emblem of Caste Forbes. 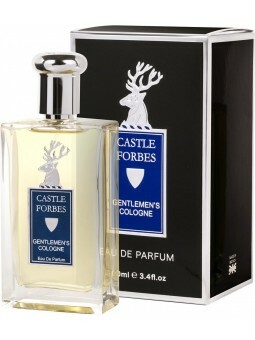 Castle Forbes Gentlemen’s Eau de Parfum 100ml. A citrus complex introduces oakmoss, lavender, pine and a green heart of ferns on a base of precious woods and musk. Absolutely masculine and personal. 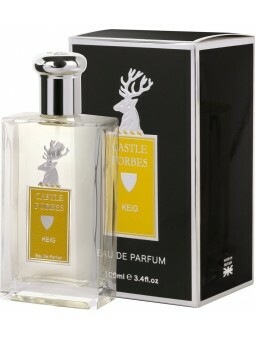 Castle Forbes Keig Eau de Parfum 100ml. Invigorating and zesty blend or lemon, lime and bergamot essential oils on a heart of sandalwood and cedarwood gives this truly refreshing scent its distinctive signature, ideal for the modern man. Keig is the original name of the village where the castle of Forbes was built in 1815. 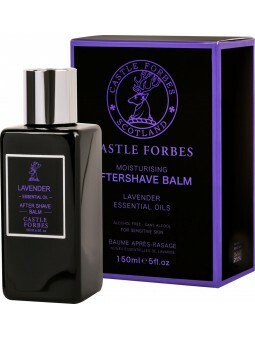 Castle Forbes Lavender After Shave Balm 150ml. Extraordinary after shave balm with pure lavender essential oils. This soothing aftershave balm is alcohol free and gently closes the skin pores. It moisturises and replenishes the skin without leaving any sticky residue on the skin. 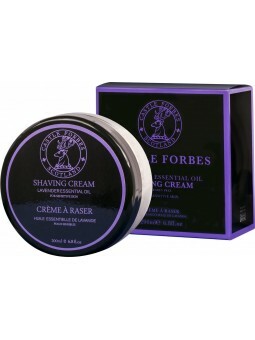 Castle Forbes Lavender Shaving Cream 200ml. Exquisite shaving cream with pure lavender essential oils, especially recommended for sensitive skins, helps the blade or razor glide more easily. Considered by many as one of the best shaving creams in the world. Its high density lather and excellent properties are the base of a perfect shave. 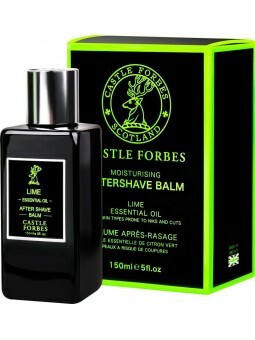 Castle Forbes Lime After Shave Balm 150ml. 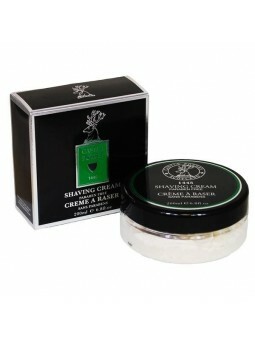 Extraordinary after shave balm with pure lime essential oils. This soothing aftershave balm is alcohol free and gently closes the skin pores. It moisturises and replenishes the skin without leaving any sticky residue on the skin. 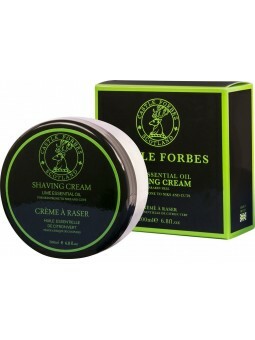 Castle Forbes Lime Essential Oil Shaving Cream 200ml. Exquisite shaving cream with lime essential oil and an incredible aroma. Especially recommended for skins prone to cuts. 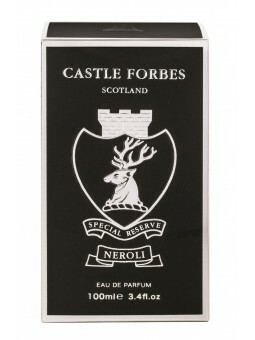 Castle Forbes Neroli Eau de Parfum 100ml. Vibrant fragrance inspired by bitter orange with the exquisite Neroli oil and its delicate flowers. With a petit grain heart and green grass, perfectly mixed with the bitter orange. Dynamic fragrance that suits any time of the day with style and elegance. 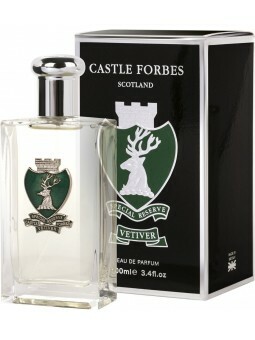 Castle Forbes Vetiver Eau de Parfum 100ml. Woody and citrus notes that support a cypress and heart. With a Vetiver and Cedar background. Suprising and elegant masculine fragrance.